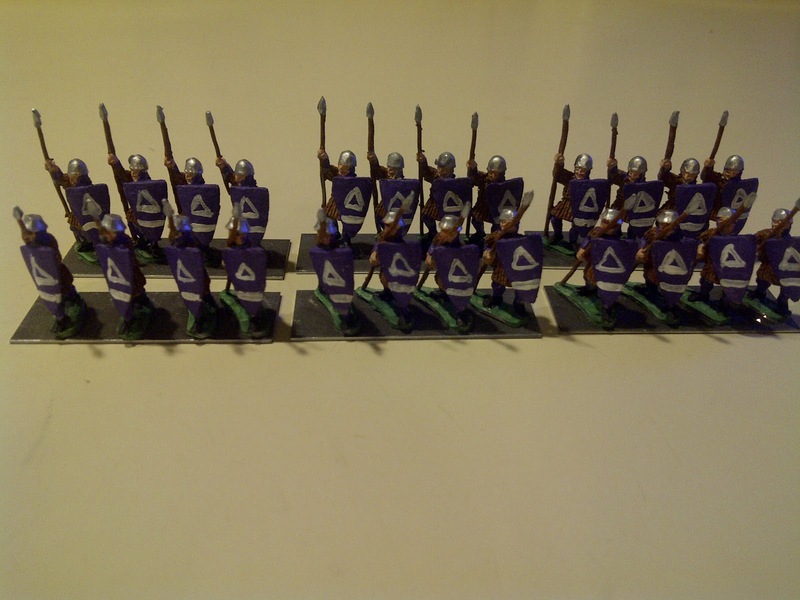 And here they are side by side with the first BG of spearmen that were painted to kick off the whole Field of Glory armies project in the first place. 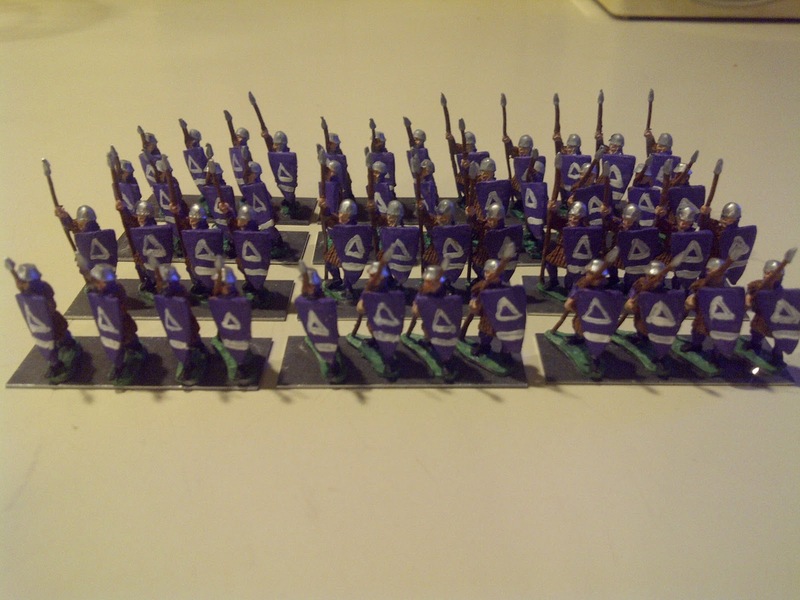 I can’t wait to see the whole army arrayed! 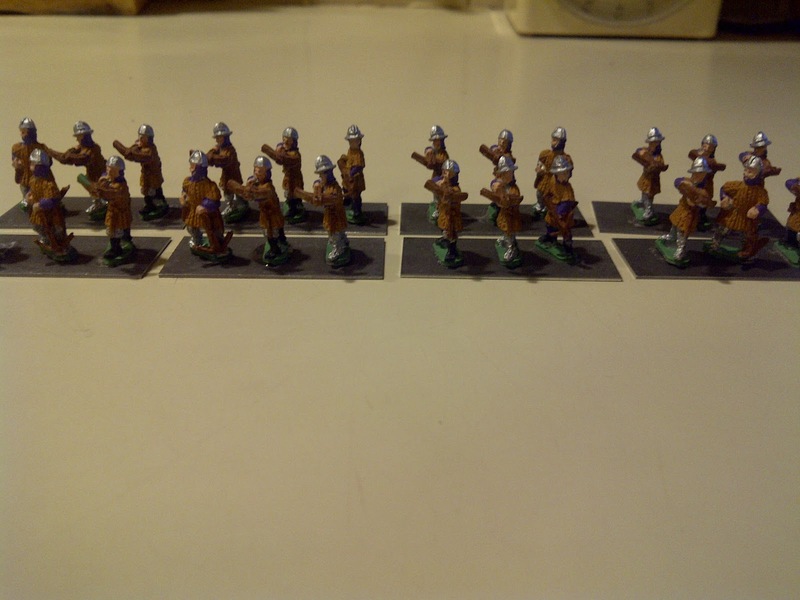 Here’s the battlegroup of crossbowmen. 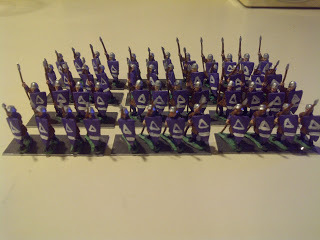 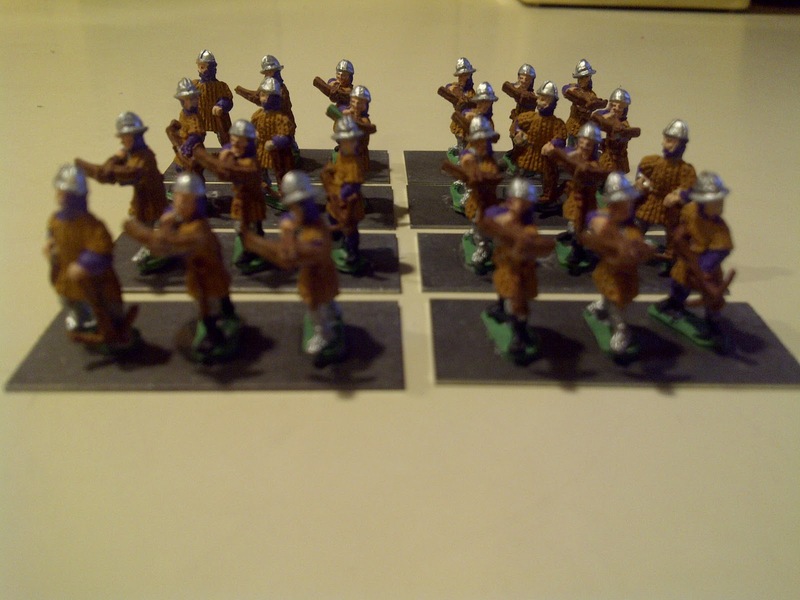 Since these are medium infantry, I’m mounting them 3 per base; fortunately they came from Old Glory 15s in such numbers that I could have based 4 per base if I chose; that leaves me with a few spare bases’ worth. 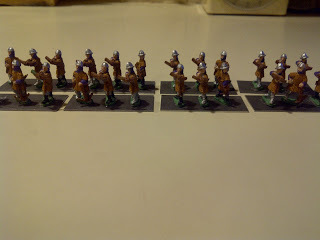 In the home stretch– one more BG of knights, a few commanders, and I’m done!